Nokia's eagerly anticipated Windows Phone handsets look set to be sporting ST-Ericsson chips – according to a senior executive. Speaking to Forbes, STMicorelectronics chief executive Carlo Bozotti, who sits on the ST-Ericsson board, suggested that the Nokia phones will use the company as one of its two chip suppliers. Borlotti stated that ST-Ericsson remained an important supplier for Nokia with 'very close relations' with the company. Currently, Qualcomm's Snapdragon processor has been the dominant force in Windows Phone-sporting handsets, due to Microsoft's desire for a consistent offering for the launch phones. However, the company has already said that it will be less strict on which specific chipsets are used going forward. 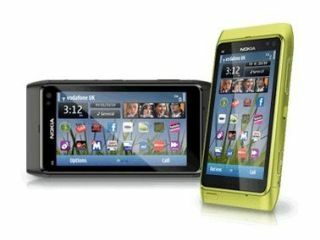 Microsoft's deal with Nokia, and the sheer investment in creating and marketing the Windows Phone OS, are an illustration of just how important the mobile phone sector is to the software giant. With rival Google's Android OS doing well not only on phones but also on tablets, and Apple's successes in the mobile markets, the need for a competitive product was clear. Bringing Nokia into the fold should give Windows Phone a major push, and it seems that it could come with a more relaxed attitude to what the handset actually consists of.